The user logs into the application. The user can still continue to see the application even after the idletimeout as long as he doesn’t refresh the page. The requirement is that , once the idle time out is reached, the application should automatically redirect the user to the login page and log the user out of the current session. Once the request reaches web agent, it detects the session is already idled out, so it logs off the current session and redirect to the login page. 2. 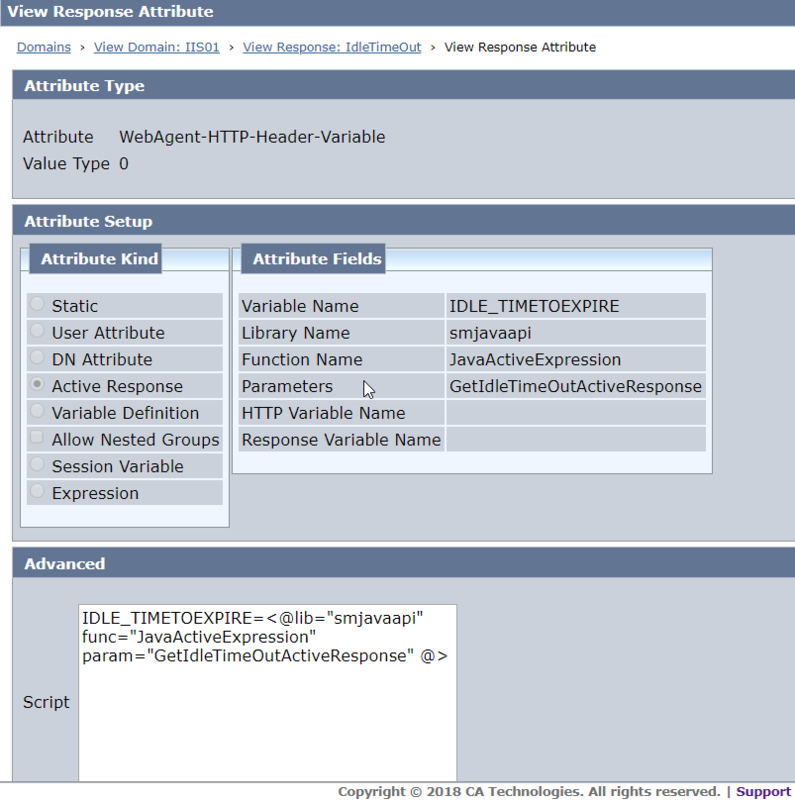 Associate the above ActiveResponse with the “OnAccessAccept” rule. response.write "<META http-equiv=refresh content=" & GetAttribute("HTTP_IDLE_TIMETOEXPIRE")+5 & ">"
may be something else is going on. I have sourced the jar in JVMOptions.txt file to still its failing. one question for this solution. if we send a request to the URL, siteminder take this as a new request, it would reset the idle timeout.